John David Baker-Batsel, the first director of the Graduate Theological Union Library in the new building, passed away in Longmont, Colorado, on November 28, 2018. Baker-Batsel served as library director from 1977 to 1990. 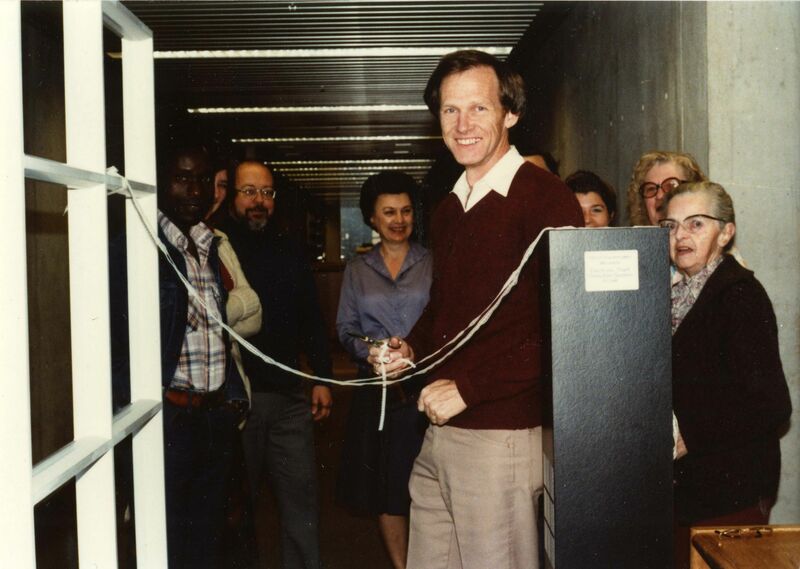 He was instrumental in the successful opening of the GTU Library, from the completion of its first phase (basement and first floor) in 1981 to the second phase (second and third floor) in 1987. The naming of the library for Flora Lamson Hewlett took place in 1987. 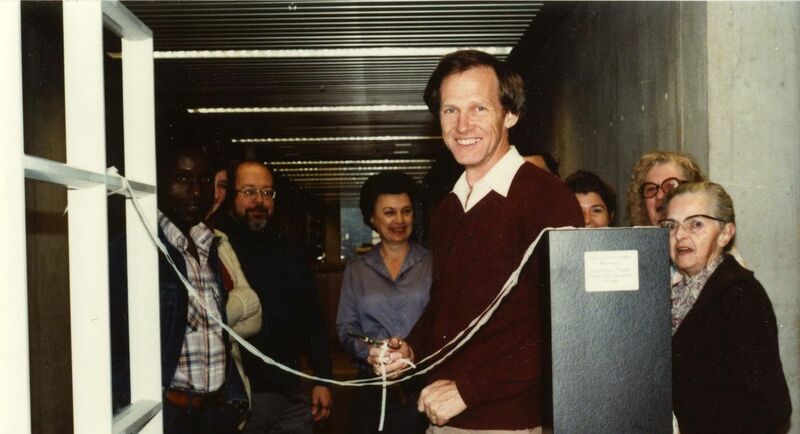 During his tenure, he managed the ongoing project of integrating the libraries of the member schools into a single library (ultimately finished in 2005), increased the fulltime staff to meet the challenges of the new building, implemented the library automation process, augmented and refined collection development and other library policies and procedures, and initiated the GTU Archives. Pacific School of Religion and Starr King libraries were brought into the collection in the new facility. Prior to Joining the GTU, Baker-Batsel served as a professor and librarian at Garrett Theological Seminary in Evanston, Illinois. Born in Greenville, Kentucky, he received a BA from Lambuth College, 1955; BD, Vanderbilt Divinity School, 1959; MA, Vanderbilt University, 1962; and MLS, Peabody Library School, 1963. He served as president of the American Theological Library Association from 1973 to 1974 and on the board of the California Library Authority for Systems and Services, 1981-1982. 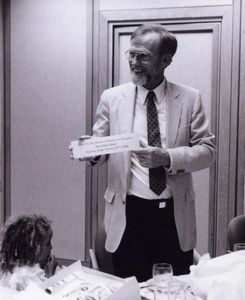 After retirement, among other activities, he served on the General Board of the United Methodist Commission on Archives and History (1997-2001). John Baker-Batsel is survived by his wife of thirty-eight years, Patricia Ann Baker-Batsel; his four children: Lee Ann Batsel Steinmetz, Laura Grace (Batsel) Dicus, Julia Beth Batsel and John David “Jack” Batsel; their mother Lyda Katherine Dickerson and Pat’s son Michael Pressey. He also leaves an extended family: Lee Ann’s son Alex Steinmetz; Laura’s husband Shannon Fears; Laura’s children: Michael Dicus and Naomi Dicus and John’s great-daughter Ariella Dicus; Julia’s daughter Kaiya Hatcher and her husband Dan Hatcher; Jack’s wife Lucy Ednie, her son Pace Ednie-Gloege, with his son Kenan; Michael Pressey and his wife Anna MacBriar and their daughter Clara Jane Pressey. Services are scheduled for Thursday, December 6, 2:00pm, at First Evangelical Lutheran Church, 803 Third Avenue, Longmont, Colorado. Memorial contributions may be made to the Charity of Donor’s Choice.